During the first three weeks of seventh grade, I’d learned one thing above all else: A person can become invisible simply by staying quiet. I’d always thought that being seen was about what people perceived with their eyes. But by the time the Eugene Field Memorial Middle School made the fall trip to the aquarium, I, Suzy Swanson, had disappeared entirely. Being seen is more about the ears than the eyes, it turns out. 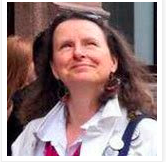 *Please note she is an American author so the spelling is a little different. The strange creatures of the ocean are fascinating – and few are more weird and wonderful than jellyfish. I’ve been a scuba diver and I still love rock-pooling and snorkelling, so it’s not surprising this quirky title caught my eye. Such an attractive cover by Terry and Eric Fan - which cleverly gets across the mix of sorrow and lightness in this moving book. Some of the best parts of Ali Benjamin’s novel are the facts – they’re fascinating and they do help the story along. You so get to know Suzy’s character and empathise with her way of coping with her loss. You don’t just feel pity, but grow in understanding. As an aside, the inclusion of biology through Suzy’s investigations and the 7th Grade Life Science teacher, Mrs Turton, is a great feature. Young readers know the difference between fact and fiction – but their minds are open enough to run them alongside each other. More of this, please publishers. I was actually surprised to learn it’s 352 pages in paperback. I raced through it on my Kindle – it certainly didn’t feel long. Perhaps the unusual structure (with the extracts from Mrs Turton’s advice) and illustrations take up the space. At any rate, it’s suitable for any reasonably competent reader from ten or so onwards. Elective mutism and a drowned friend might not sound like a bundle of laughs, but there’s quite a bit of humour and a good deal of heart and hope in this book. 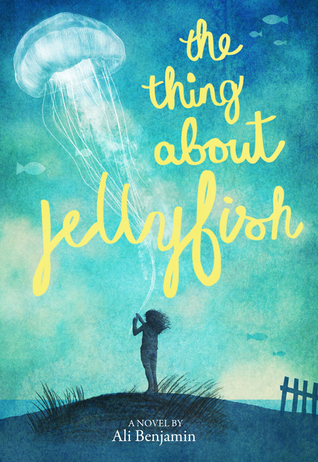 Highly recommended for any family dealing with grief, regardless of their beliefs – and good read for anyone, unless you truly hate jellyfish.